This statistic shows the results of a survey conducted in the United States in January 2017. 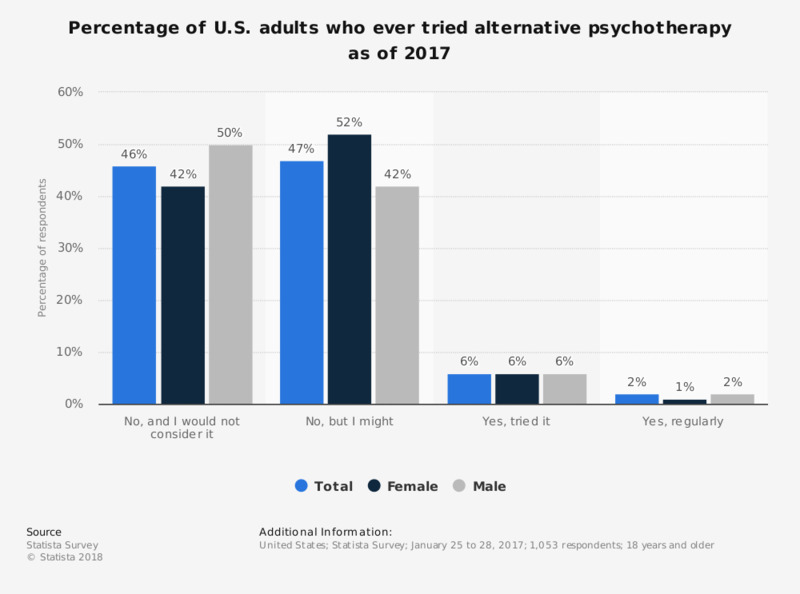 U.S. adults were asked if they ever tried alternative psychotherapy. In total, 47 percent of respondents stated that they did not try alternative psychotherapy but they might try it. This question was phrased by the source as follows: "[alternative psychotherapy approaches] Have you ever tried one of the following alternative medical treatments?"